When Valve first discussed bringing the PC into the living room with Steam Machines, it outlined an entire ecosystem. On the high end we'd find $1,000-plus media center PCs, equipped with top-of-the-line hardware. But on the low end, there was a much more interesting proposition for those who already owned a capable PC: A streaming-only device that cost barely anything but relied on your home network and your primary tower for horsepower. Thanks to GDC we now know Valve is working on its own streaming-only device, the $50 Steam Link. And as far as you-totally-can't-trust-them conference demos go, it worked really great! But it's also not out until November. 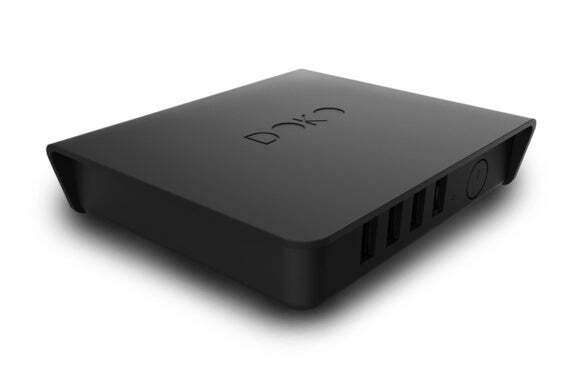 Enter the NZXT Doko—a $100 box capable of streaming your desktop PC to your TV right now. Unfortunately, even at twice the price of the Steam Link, it doesn't seem to work nearly as well. 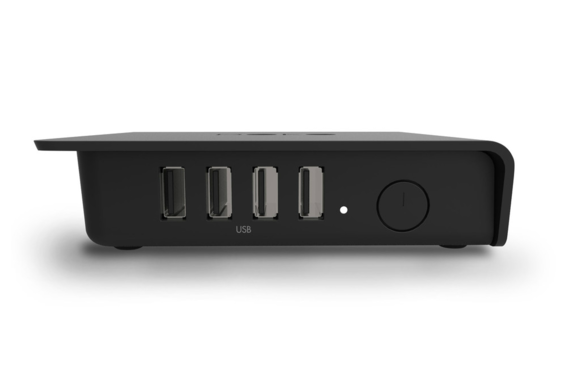 Aesthetically, the NZXT Doko does exactly what it's supposed to do—blend in. The Doko is smaller than my cable modem, at about 5 inches in width and depth and an inch or so in height. The front features a row of USB inputs and a small power button, while the back has an HDMI out, 3.5mm audio out, power input, and Ethernet input. A lip overhang is the single (sort of weird) design accent to what would otherwise be a small black rectangle. It's an utterly forgettable, utilitarian design that could offend no one. You won't notice it. You won't see it. It's perfect. Set-up is extremely easy, albeit a bit of a mess. You plug in your Ethernet cable, power, HDMI, and any USB devices you want accessible, then turn the thing on. Great! It works! Yeah, not the best first impression. Then I found out there's no software keyboard on the Doko. I guess I was expecting something like the Alienware Alpha or a Steam Machine—controller-ready out of the box. No luck. You'll need to plug a mouse and keyboard into this thing just to create a profile, even if you never use it again. Okay, great, fine. I can live with that. Let me just go dig out a keyboard and mouse and...perfect. On the computer side, set-up is even easier. 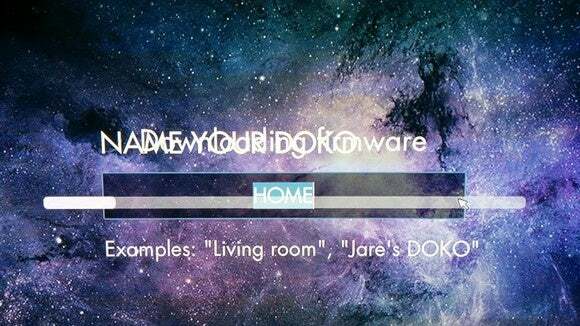 You install Doko's software, the Doko shows up as a device on your network, you select it, and you're good. If you're running Windows 7 you'll see Aero deactivate in favor of Windows 7's basic color scheme, but that's no big deal. You're now officially streaming your PC onto your TV! Hurrah! Welcome to the future! You'll definitely have to use the Gigabit Ethernet on the back of the Doko as there isn't any wireless. Welcome to the picky, ornery, fight-you-every-damn-step-of-the-way future. There are two huge interface issues I encountered with the Doko. Neither alone is enough to write off the Doko, but the theme of this review (if you couldn't tell already) is "little annoyances that eventually make you disconnect the Doko and just go sit at your desk." 1) Alert messages in Windows 7 don't display on the Doko. I got pestered by that nuisance commonly known as the "Java Update" shortly after activating the Doko. I had no idea this had happened, because on the TV everything simply froze. There was no alert sound. No alert overlay. I just couldn't move the mouse anymore. Walking into my office, I could see the Java Update dialog sitting there taunting me. Closing it returned the Doko to normal. 2) You have to run Steam in Admin Mode to utilize Big Picture and a controller. Presumably this is how you want to use your Doko—after all, it's a user interface designed for couches. As someone who runs Steam at launch, this means shutting it down and then reopening in Admin Mode every time I want to use the Doko. It only takes about five seconds, but it's tedious and also something that nobody told me. I literally had to email NZXT to figure out what was going on. Even running in Admin Mode, the controller support is sometimes spotty. I'd be able to run one game fine, then switch over and find that the controller (for whatever reason) was unresponsive. The only way to fix it was to reset the Doko. There are plenty of USB ports. 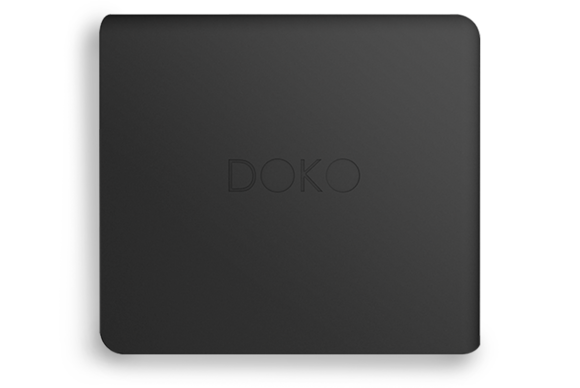 I've probably used the Doko most to stream movies and music to my TV, but at that point I might as well own a Chromecast, Fire TV Stick, or any other low-profile streaming solution. That's especially true because the movie streaming quality of the Doko is subpar, with quite a bit of obvious screen-tearing and worse-looking picture quality than you'd get from something like the Chromecast. Also a Chromecast is $35. The Doko is $100. I guess certain enterprise pursuits might benefit from streaming presentations to a TV or even working directly on a TV, but that's definitely a niche use-case—and again, there are cheaper options available. So I'm forced to conclude the NZXT Doko is meant primarily for gaming. Here, too, we find caveats—namely that the Doko is only prepared to output 30 frames per second. And even this wouldn't necessarily be an issue, considering console users are used to 30 frames per second, except that variable amounts of lag render any timing-based games practically unplayable. In my time with the Doko I tried everything from Dying Light to Dead Rising 3 to Pix the Cat to Gravity Ghost to Talos Principle to Limbo to Civilization. Talos Principle, as a mostly-slow puzzle game, and Civilization, as a turn-based game, were the only titles I'd classify as "playable." The rest of the titles in that list all rely on some measure of precision, and the Doko just can't deliver. Even with both the PC and Doko plugged into the same router I experienced at least 40-80 milliseconds of input lag. For reference: The average person starts to notice input lag at 30 milliseconds. And typically you can even grow accustomed to input lag as long as it stays constant, but the Doko fluctuates. You might have a scorching-fast 40 milliseconds of input lag one second and then 70 the next. Your character doesn't really "move" as much as drunkenly lurch around the screen. The consistency is key. I have input lag when streaming from my PC to a Shield Tablet also, but it stays at a semi-stable 40 or 50 milliseconds. I still have to compensate for the lag, but play long enough and it becomes sort of reflexive. To be fair, NZXT recommends plugging your computer's Ethernet port straight into the Doko, but at the point where I'm running cables across my entire apartment why not just run an HDMI cable from my computer to my TV? I'm also lucky enough that the previous occupants ran cable for us from the bedrooms to the living room. The Doko has no built-in wireless, so your personal set-up might be even more painful. In my old apartment, for instance, the router was four rooms away from the TV. You know, in the room where the computers were. Running an Ethernet cable across four rooms just to stream games from my PC? No thanks. One last complaint: The Doko comes with an Ethernet cable (Cat 5e) but no HDMI for some inexplicable reason. The Doko is about 5 inches by 5 inches. 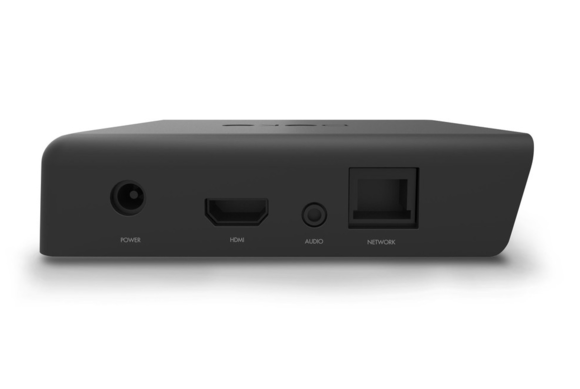 The "all-streaming Steam Machine" is exactly what I want, but the NZXT Doko isn't a good solution. It's too expensive to compete as a media center, too sluggish for games. And it definitely isn't fit for the masses. Some of the issues I had, I was able to fix. For instance, troubleshooting why my 360 controller wasn't working. But would I give the Doko to the average person and say "Yeah, it's just like a console!" and hope for the best? The NZXT Doko is more expensive than a Chromecast, less expensive than a Steam Machine, and functions as well as neither.